For the past two years, I’ve looked closely at the Fastest Rising Baby Names. Instead of examining change in rank, I’ve looked at the total numbers of births. Especially near the top of the charts, a relatively significant gain or fall in use is overlooked easily. If a name climbs from #15 to #12, we don’t necessarily see it as especially popular. But the number of actual births can indicate something different. Parents often see a name ranked #90 and feel like it hits the sweet spot – familiar, but not too common. But a name that has gained fifty places in two years, that’s a signal it might be accelerating in use. If that rank change is backed up by birth numbers? That name could be en fuego. But mostly, I wanted to track this information because it doesn’t get a lot of coverage. Can examining these trends help spot future superstar names? We’ll have to wait and see. So here are the fastest rising baby names for the last two years. 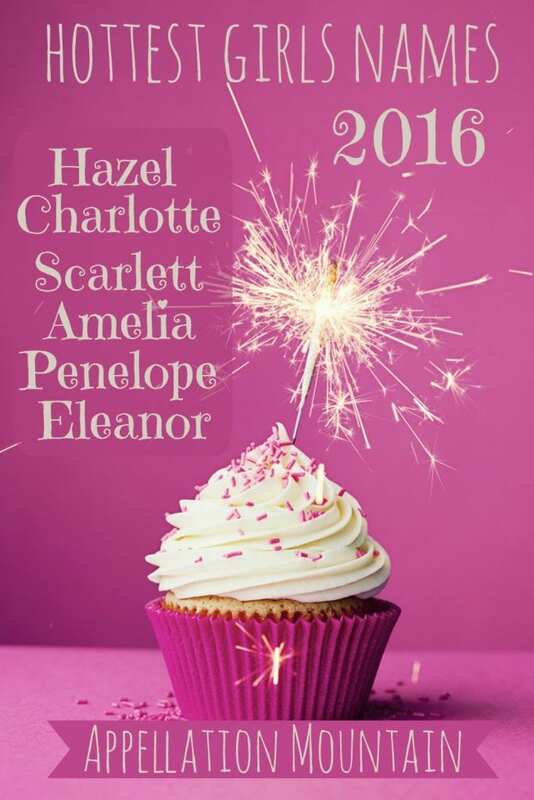 Eleven girl names made the fastest rising baby names list for the past two years. Of those eleven, five fell on the list; the remaining six all accelerated in use. Some intriguing hints can be found here. Is Evelyn really slowing down? Will Hazel crack the US Top Ten in the next few years? Two years do not make for a pattern, but it’s worth watching. I’m intrigued by Skylar, a name that strikes me as especially trendy. After rocketing straight up for five years, will this name level off – or fall just as quickly? On the boys’ side, things look more interesting. Of the eight names to chart in both of the last two years, all of them continued to rise. I do think these names represent the next class of go-to choices for boys. It’s easier to make a trend prediction here than with the girls’ list. 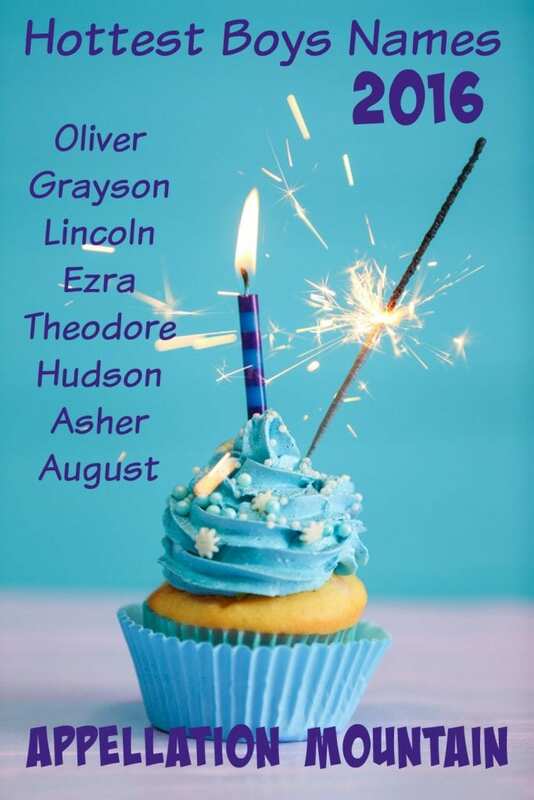 First, while Grayson, Lincoln, and Hudson continue to carry the banner for two-syllable, ends-with-n names, parents are more open to alternate ending sounds than ever. Second, longer names for boys continue to fare well. Sure, we love Jax and Max and Kai, but with names like Oliver and Theodore among the fastest rising, it’s safe to say that we’re still interested in the sound and syllable-rich choices, too. Now I’m really excited to get the new data set in May, and see if we can spot any trends! What do you think? Are there any surprise for you on these lists, or do the two-year risers sound like the most up-and-coming names to you?